With OverDrive, you can borrow and enjoy free eBooks, audiobooks, videos, and magazines from your library's digital collection. All you need to get started is an Internet connection and a Library card. Click here to learn how OverDrive works. Read digital magazines! Sign in with your library card. 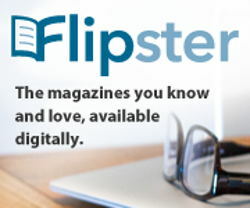 Click here to learn how Flipster works. Free movies and TV shows, music, eBooks, Audiobooks, and Comics with your Library card. Click "Get Started Today" to create your hoopla account.